A brand new year is just 3 hours away. Lets welcome it with our best smile. 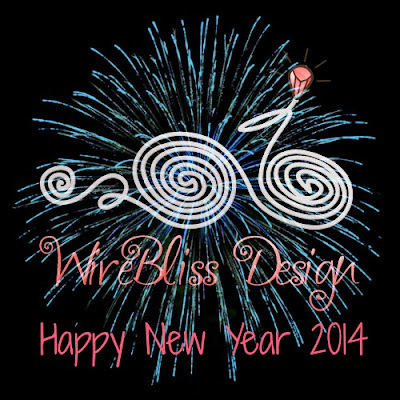 Wishing you all, readers of this blog a very HAPPY NEW YEAR 2014. May all your dreams and wishes come true and all resolutions fulfilled and accomplished. Thank you for visiting over the years, and please continue to do so :). I am looking forward to a smooth new year filled with more wire jewelry projects. I suspect that it's just now New Year's Day where you are- we have hours and hours to go, here, LOL!